Perfectly priced for Lenten service giveaways or as an Easter basket stuffer. 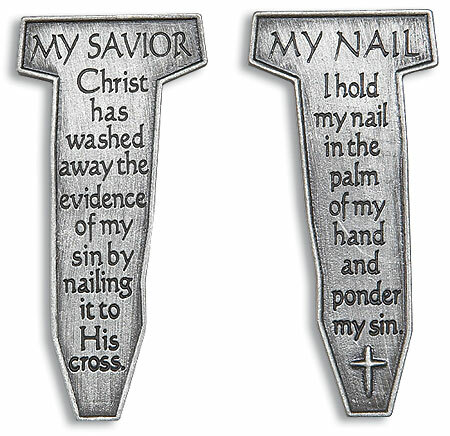 Text reads: "My Savior: Christ has washed away the evidence of my sin by nailing it to His cross. My Nail: I hold my nail in the palm of my hand and ponder my sin." Front and back shown.